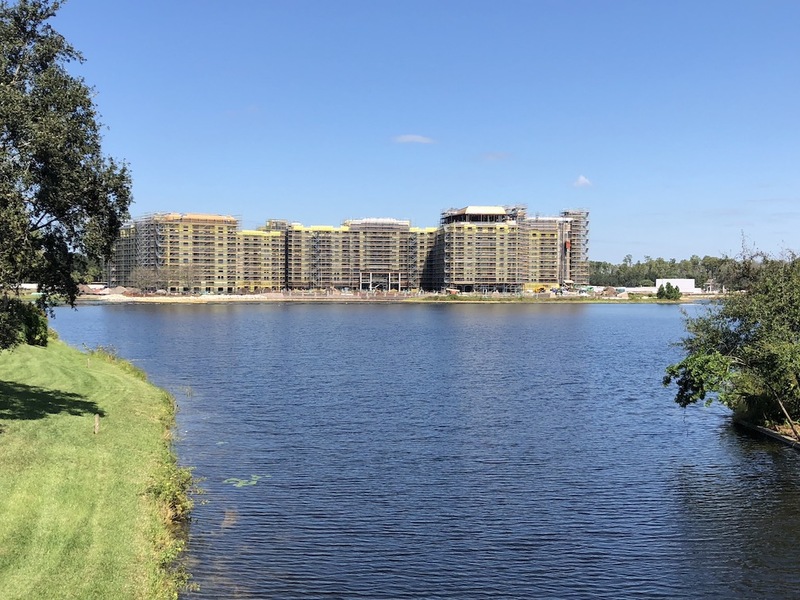 Over the past few years it has seemed like the majority of the Walt Disney World Resort property has been under construction. The roads are being rerouted, new attractions being built, and some of the resorts have been under renovation. This is not going to change any time soon, and from the sound of it most of this won’t be done for another 3-4 years. But one of these places that has started to see the finish line is the Caribbean Beach Resort. I visited this resort about 8 months ago to see how things were going and it was a mess. Guests had no actual restaurant to eat at, instead there was a tent put up with a buffet inside, or some temporary food trucks near the pool. 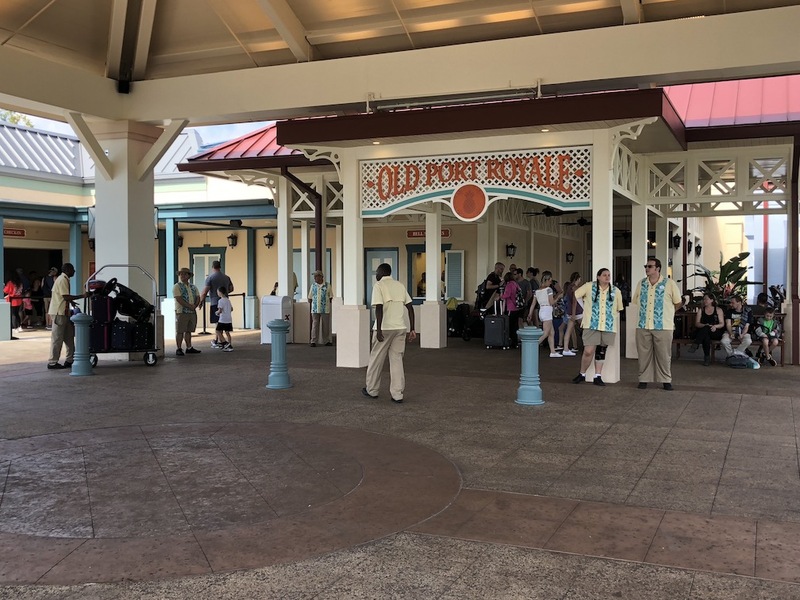 However just this past week that all changed when the newly renovated Old Port Royale opened. 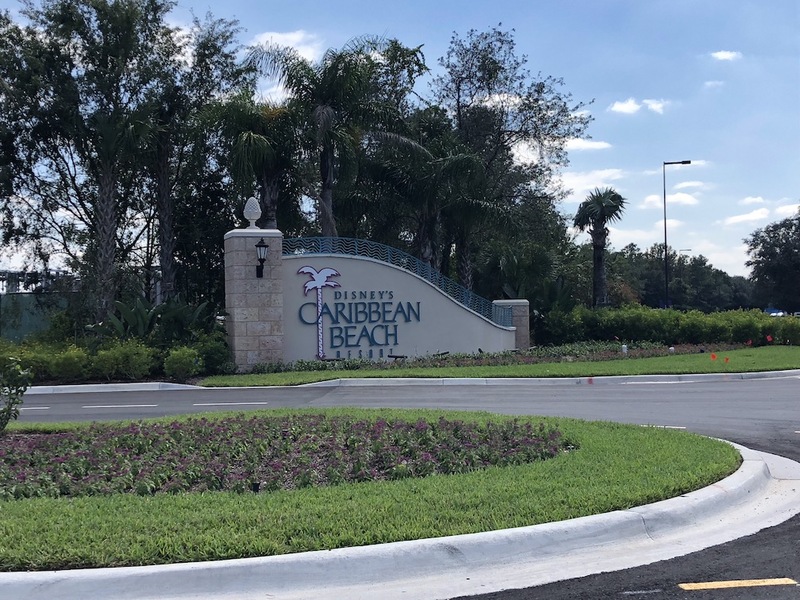 In case you aren’t familiar with how this resort is laid out, there are groups of resort room buildings named after different Caribbean locations like Aruba, Martinique, Jamaica and a few others. This resort is huge and was in need of some TLC. The main reception area used to be on the outskirts of the property in the Custom House, but that has closed. 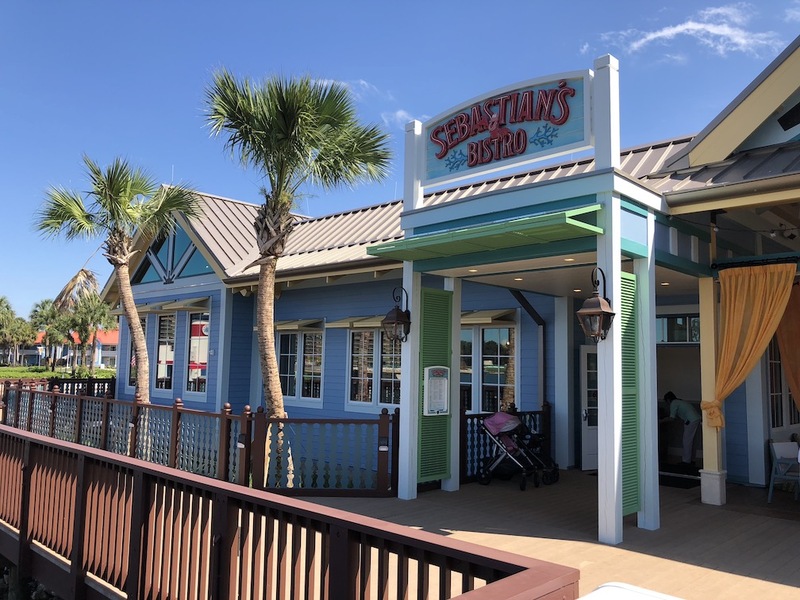 Now that has been relocated to Old Port Royale along with some new places to eat. 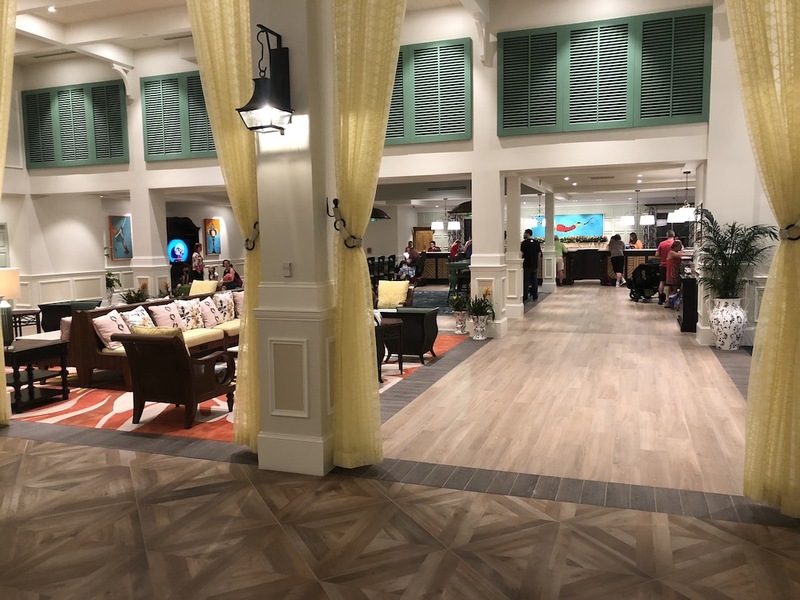 The new check-in area is wide open with some minimal theming but this seems to be the direction Disney is going with its resorts. 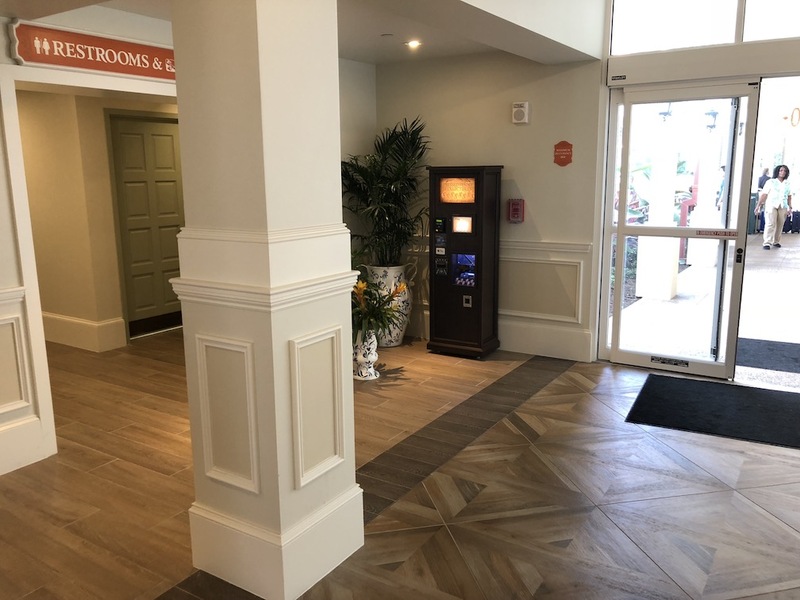 Just inside the main set of front doors is the new penny machine available at the resort. In years past this resort had quite a few penny machines, but those have all been removed and retired. This is now the only machine available here. I wonder if we will ever seen any of the old three design coin press machines anymore? All of the penny designs have our favorite Disney characters as Pirates. 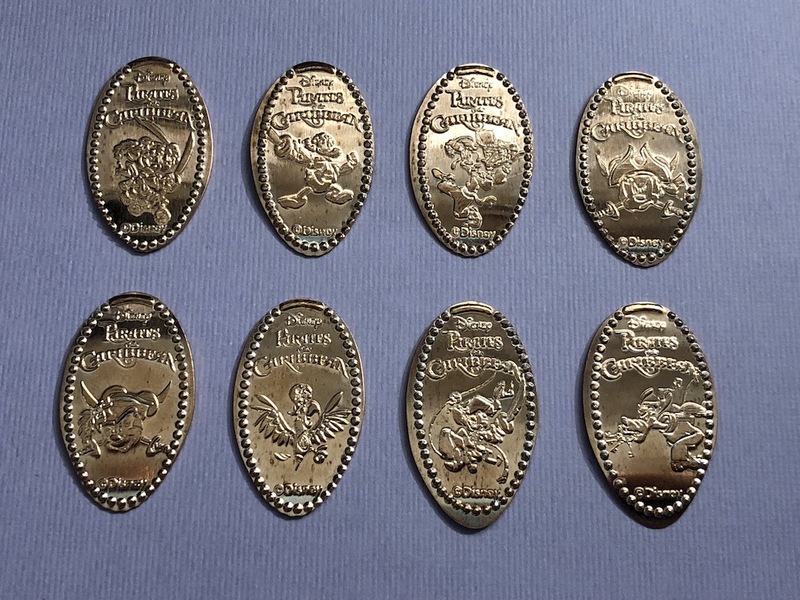 For some reason all of the pennies also say “Pirates of the Caribbean” which I think is a little strange. It’s the same logo from the attraction in the Magic Kingdom but now over at this resort. 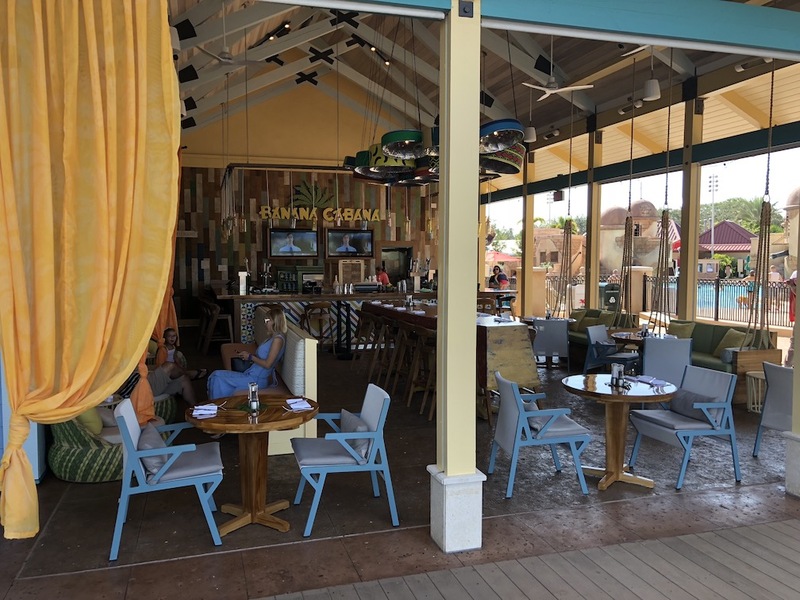 I get that the Caribbean Beach resort does have a pirate theme at the main pool and in some of the rooms, but this seems like a bit of a stretch. 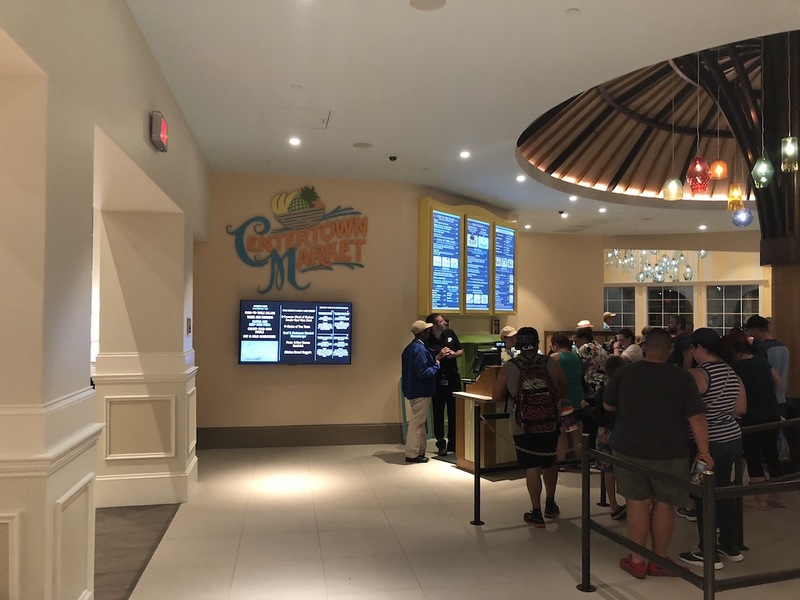 The rest of Old Port Royale is set up for the new Centertown Market the quick service options. Walking out the back of the Old Port Royale building you are right next to the main Pirate themed pool, and the new Banana Cabana bar / lounge. I stopped by here later on at night and they have live music, but there are not many seats available so you may need to get there early or expect to wait for a table. 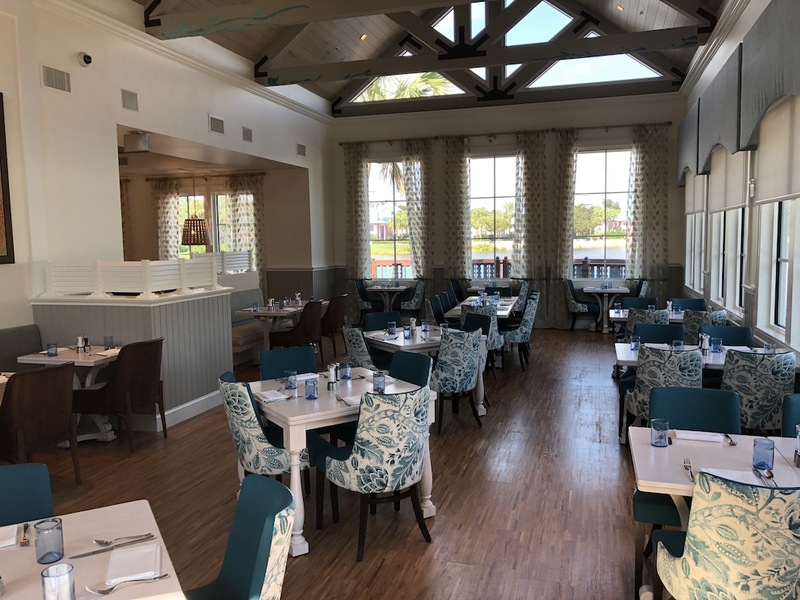 Beside the lounge is the new table service restaurant called Sebastian’s Bistro. This place has received quite a good reception so far in its first two weeks of being open. I will also admit I have actually eaten here twice in that time period and have been thoroughly impressed. I’m sure you all remember Sebastian from The Little Mermaid. First off the inside is really clean and bright, but there are some light fixtures that have not been installed yet so at night there are areas that can be a little dark. The service I had on both my visits was superb. They knew that menu inside and out, making some great suggestions. 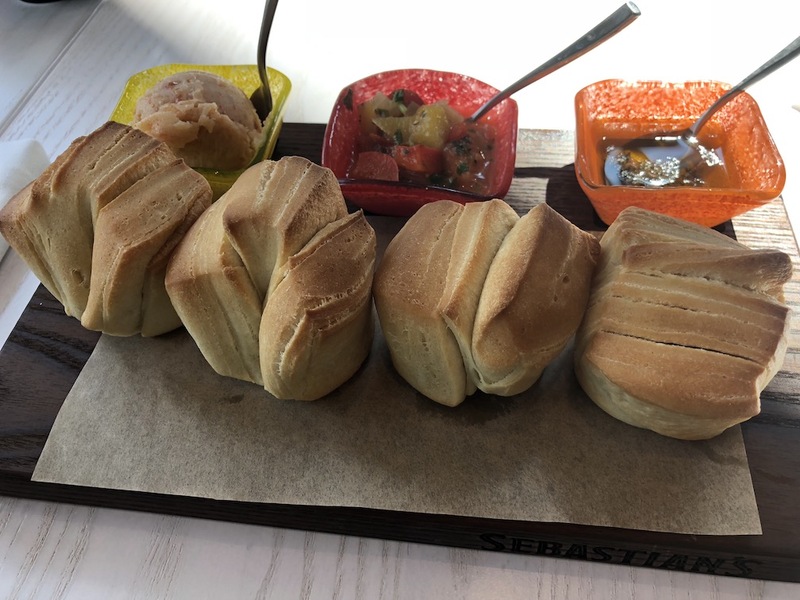 We tried the Pull-apart bread as an appetizer which came with three accompaniments, Guava butter / Mango Salsa / Jerk favored Oil. The guava butter was unbelievable. 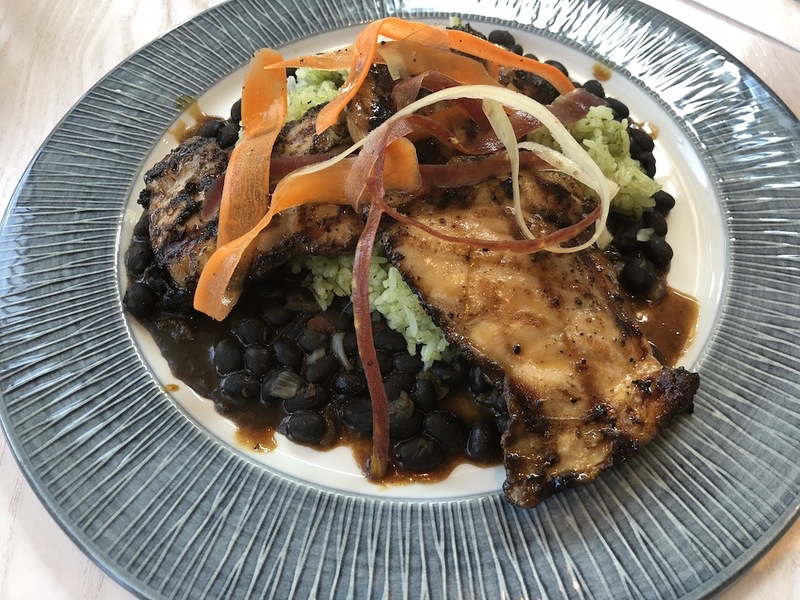 For my main course I tried the Jerk chicken, which are boneless chicken thighs marinated in a Jerk season and served over Cilantro rice and black beans. This was really flavorful and we really liked it. We also tried a few other main dishes and they were really fantastic as well. This is a place I would highly recommend and if you get a chance be sure to head over and try it out. 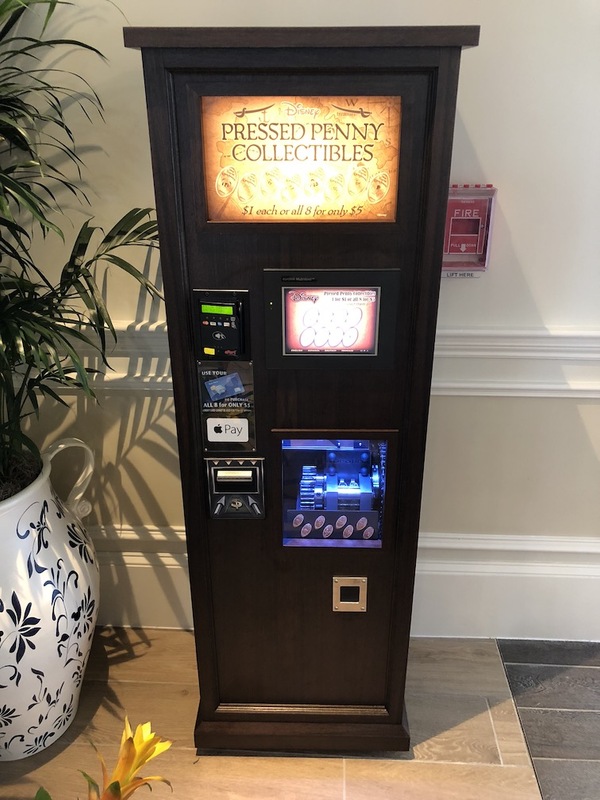 Plus you can take a nice stroll around the resort afterwards and see what they have to offer, or press a set of the pennies in the lobby. One last thing you can see when you visit this resort is the nearby resort that should be opened in a couple of years. It’s going to be called The Riviera and from across the lake looks like it’s going to be huge. Not sure how it will look inside but I’m anxious to find out. Plus you know they must have a penny machine inside.